MCI says its gross margin grew 14% to EUR 92m (£74m) in 2011, with the announcement coinciding with its acquisition of Oxford International. MCI said that the takeover deal will give the UK-focused smaller agency a greater global reach. Oxford International, which was founded in 1990 and specialises in the pharmaceutical sector, will continue out of its existing premises in Summertown in Oxford. Oxford International managing director John walker said: "As an independent, niche organiser, weve found it increasingly difficult to compete for new business when procurement-led ‘opportunities’ are looking for global, multi-service organisations. 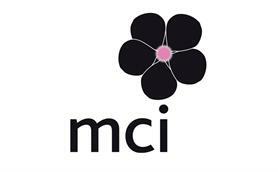 We’ve been investigating opportunities that would enable us to expand our service offering to our existing client base for a while now, and felt that MCI is the right culture-fit for our business." MCI said that the deal will allow it to "further consolidate" its UK market position. Meanwhile, its latest figures showed that 35% of its gross margin was attributed to business outside Europe, compared with just 15% in 2010. The group has offices in 47 cities across Europe, the Middle East, Asia-Pacific and America. It provides event management services to sectors including technology, automotive, financial services and luxury goods.